Host club De Ronde van Cork has pulled out all the stops to put on a top class national championship. 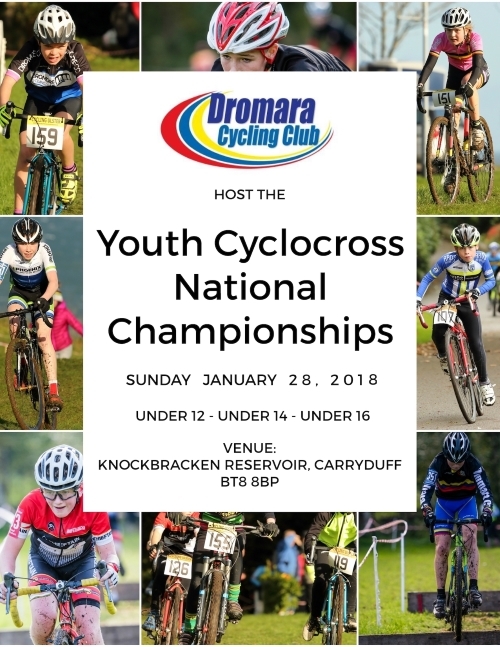 Saturday 12 January 2019 was the Youth National Championships for the Under 14s and 16s. The day started with a full complement of youth support races from the Under 6s to the Under 12s. 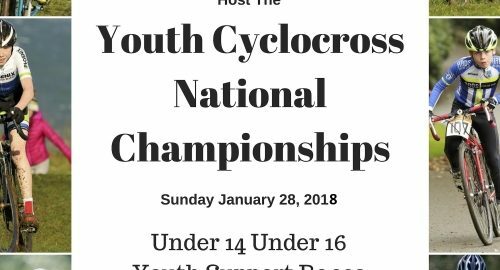 Details of the upcoming National Youth Cyclo-cross championships which will be held on Sunday 28 January 2018 at Knockbracken Reservoir, Carryduff, Belfast are given below. 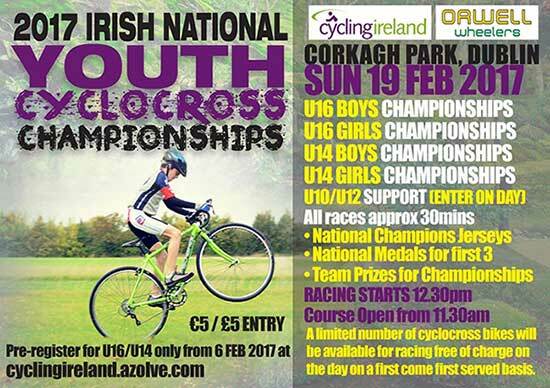 The championship categories are Under 16s and Under 14s but the event will also have support races for the Under 6s up to the Under 12s. Closing date for entries for the championship race is Thursday 25 January 2018 – 23:59. Closing date for the support races is Friday 26 January 2018 at 8 pm. Registration link for support races here. List of entries for the national championship categories is given here.